When you workout, you want a comfortable headset that doesn’t get in the way. 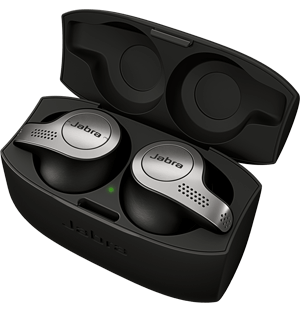 Jabra Active is designed specifically for the sporty and athletic user. It features earbuds that sit perfectly in your ears (you can even choose from three different sizes), so they won’t fall out just as you’re getting into your cardio. The Jabra Active is sweat- and water-resistant. The microphone utilizes wind-noise reduction technology, which gives you clear calls even when you’re exercising outside. You can control your music and calls directly from the headset. It works with your iPhone and you can even skip tracks on your playlist. 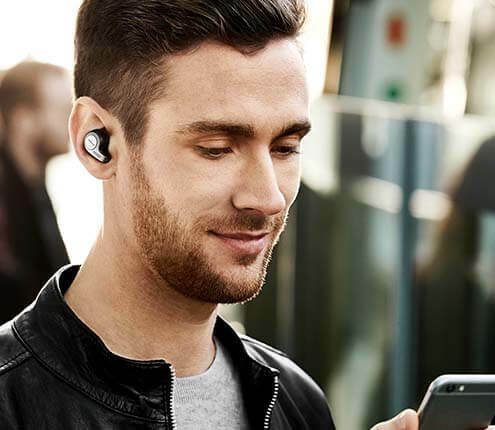 With Jabra ACTIVE, you listen to your music and take calls in stereo sound. The sound-isolating earbuds ensure that you get crystal clear sound whether you’re in the gym or the woods. And with the noise-cancelling microphone, your callers will hear you just fine too.